Liverpool faced Stoke at Anfield on Saturday and eventually after a diving header from Glen Johnson managed to collect their first win in the Premier League in five matches. After a dismal first half display the Reds came to life in the second however their lack of a prolific strike force was becoming evident. 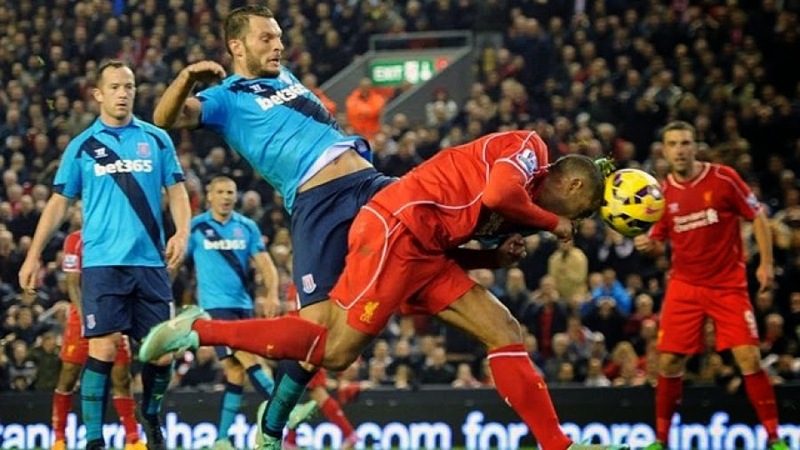 It took a defender to net the winner in a scrappy game for Brendan Rodgers' side. The first half to be honest could barely be described as a football match. You know you've had a dodgy first half when match of the day have to show a shot deflecting off a defender as a "highlight". And so, without much to discuss we may as well go on to the second half. As you will know as regular visitors to the blog, it's extremely rare that I partake in any sort of promotions or advertising however after spotting "Bass Buds" on Jose Enrique's instagram and being contacted by the folks over at @BassBudsFC I thought it was about time that I accepted a little perk. 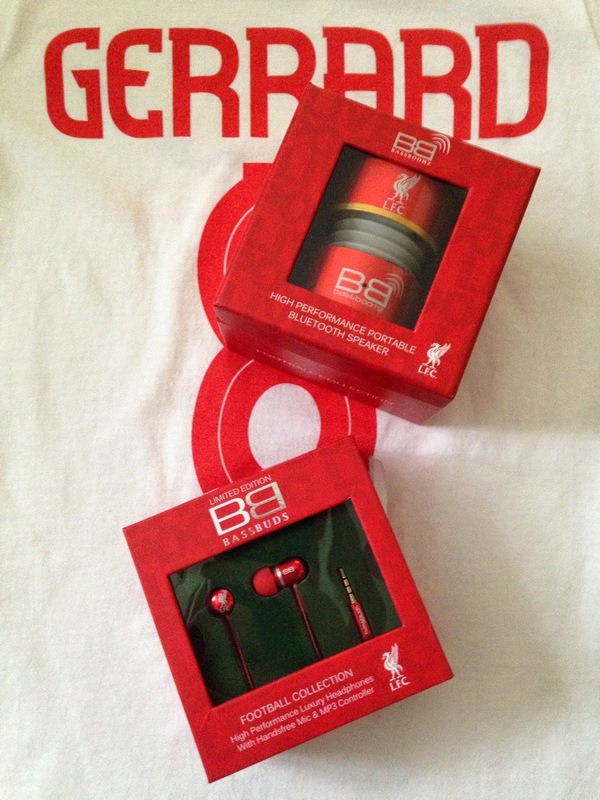 The official Liverpool FC Bass Buds headphones are priced at £49.95 on the website and the official Liverpool FC Bass Boomz bluetooth speaker is also priced at £49.95. When purchasing together you can save yourself a tenner. Both items are packaged extremely smartly, I'm a sucker for presentation and they certainly would make a nice gift. Whilst we're on the note of packaging the package itself arrived within two days so they're sound on posting. After a somewhat unconvincing yet slightly improved performance against Ludogorets in the week, Brendan Rodgers finds himself deeply under the spotlight. 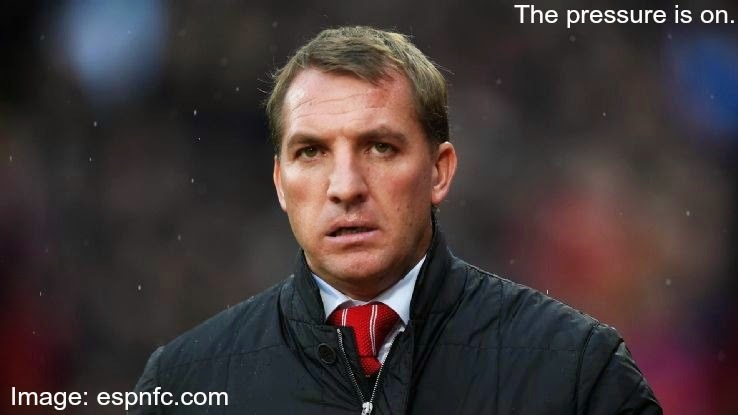 The pressure is on the Reds boss because Liverpool have only managed to collect one point in their last four matches. 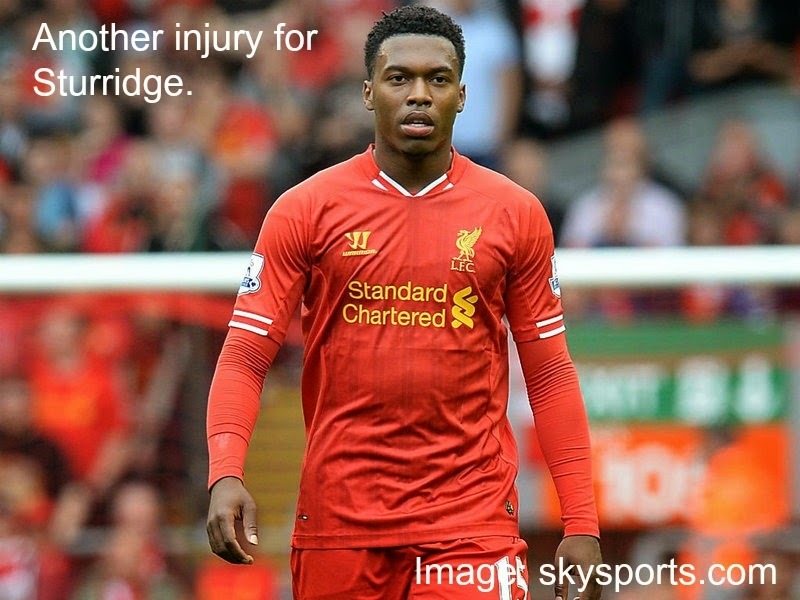 Injuries for the Reds mean they are still without strikers Daniel Sturridge and Mario Balotelli. Stoke have suffered a blow after a virus apparently swept the the training ground this week meaning some players could fail to start. A thigh problem for Victor Moses keeps him out whilst there are doubts hanging over Erik Pieters and Marc Wilson. The last time the two sides met was in January this year. 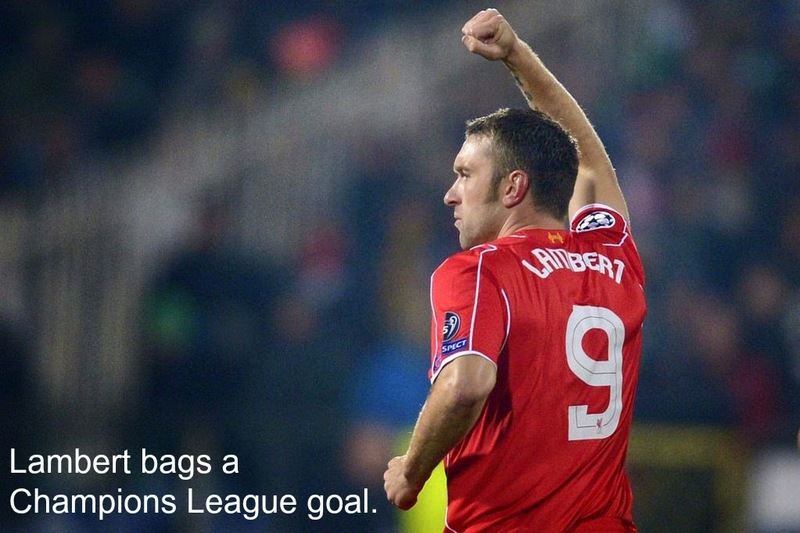 With eight goals scored in the match it certainly was a must see game for the neutral. The game kicked off with an own goal by Ryan Shawcross just three minutes in. Liverpool then scored their other four via Steven Gerrard, Daniel Sturridge and Luis Suarez. A 2-2 draw with Ludogorets on Wednesday evening means Liverpool are still in the Champions League and require a win over Basel at Anfield to progress through to the round of 16. 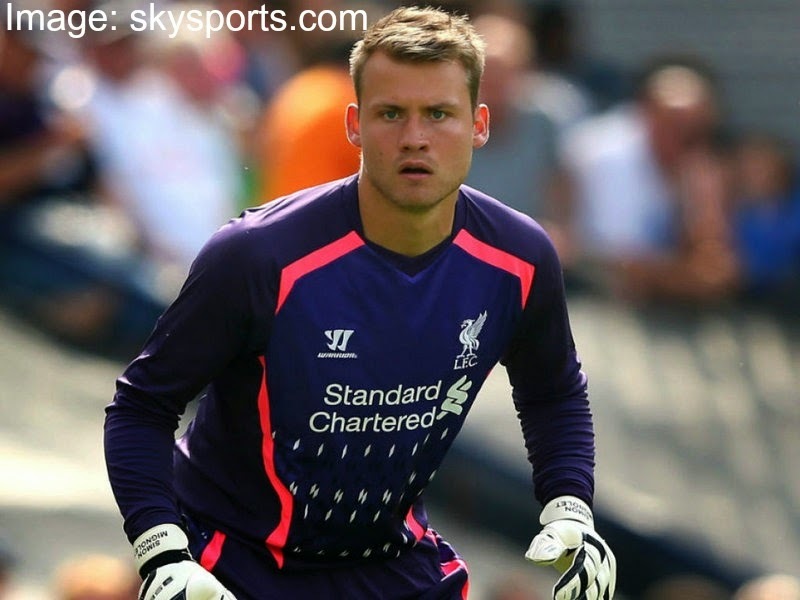 It could have been a very different story for the Reds though after a very early mistake from Simon Mignolet gave the home side the lead. Brendan Rodgers actually made some changes to the line up and to an extent I was quite pleased. 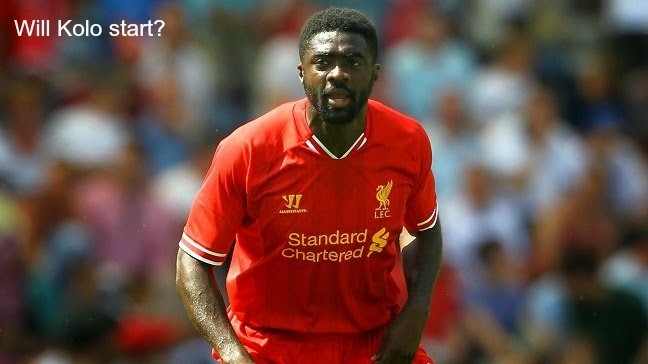 I was especially happy to see Kolo Toure reintroduced and Steven Gerrard fielded in an attacking role. It would fall to the man between the sticks though to create the first real moment of note in the game. A relatively meek shot from outside the box by Marcelinho was directed towards Simon Mignolet, positioned correctly, all Mignolet had to do was collect the ball or put his body over it but what did he do? Parry it straight into the path of Abalo who converted with ease after just two minutes. Unbelievable. Liverpool prepare to face Ludogorets on Wednesday evening in their adopted home of Sofia. Ludogorets' ground does not meet UEFA standards and so the game will be played in the capital. Sharing the nickname of Crystal Palace "The Eagles" could have another embarrassment in store for Rodgers' Reds tomorrow evening. The injury situation for Liverpool has slightly improved with Jose Enrique and Mamadou Sakho both featuring in training. 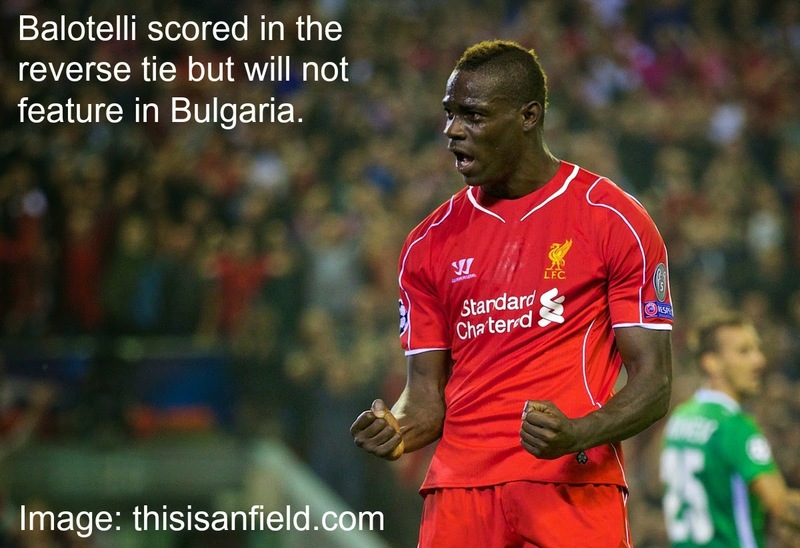 Mario Balotelli though has not travelled with the squad. For Ludogorets Bezjak is out with a groin problem but the defender Minev has become available after serving a ban. The last time the two sides met was of course also the first time the two sides met. When we drew Lugogorets in the group it was supposed to be plain sailing at Anfield for Liverpool however the Bulgarians were no pushovers and showed real promise in attack. 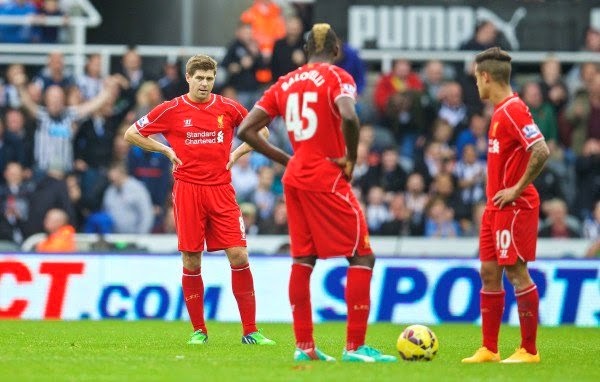 Mario Balotelli's first goal for the club and a penalty from Steven Gerrard however secured the Reds a win. A heartless Liverpool side set up via the tactically inept Brendan Rodgers fell to an embarrassing defeat at the hands of Crystal Palace on Sunday afternoon at Selhurst Park. I'm not one to usually be so harsh on our manager but I'm tired of seeing him make the same mistakes time and time again. Some would argue that it's not the manager's fault, it's the players. To an extent I would agree, there are far too many in the Liverpool squad at the moment showing no real passion yet knowing they will start each and every week. However, Brendan Rodgers cannot hide from the fact that he has brought in a vast proportion of the players in question, he has to take that on his shoulders and deal with it. First of all can I just say another final thank you to all of you who took the time to vote for me in the football blogging awards. 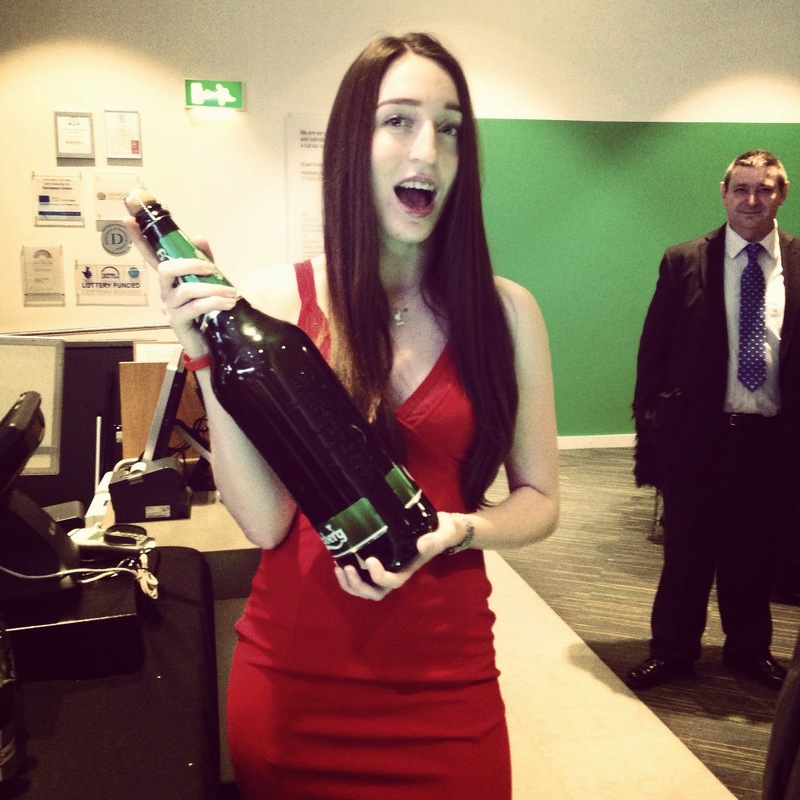 I was over the moon to accept my award for the fans' vote for "Best Female Blog" last Thursday and really do appreciate your support, you're all awesome! It always feels like months have gone by without me doing a post when there's an international break but we're back again and as always seems to be the case after these breaks, we're back with bad news. After suffering another injury in training it was revealed earlier this week that Daniel Sturridge will be out of the Liverpool squad for a further six weeks. The Liver Bird Wins Best Female Blog! If you've escaped the news up to yet you've done pretty darn well but last night after tootling up to Manchester on my ones I ended up picking up the award for "Best Female Blog" as voted for by the fans at the Football Blogging Awards! I was absolutely over the moon to receive the award and it was a pleasure to be presented it by the lovely Kate Riley from Sky Sports News. Firstly I'd just like to say another massive thank you to each and every one of you that took the time to vote for me and The Liver Bird. Your support means the world! Secondly, congratulations to Laura from @YICETOR who picked up the award for "Best Female Blog" in the judges category, thoroughly deserved and her acceptance video was typically hilarious! Thirdly, a shout out to all the ladies in my category, please take the time to go and check out the wonderful work that they do! 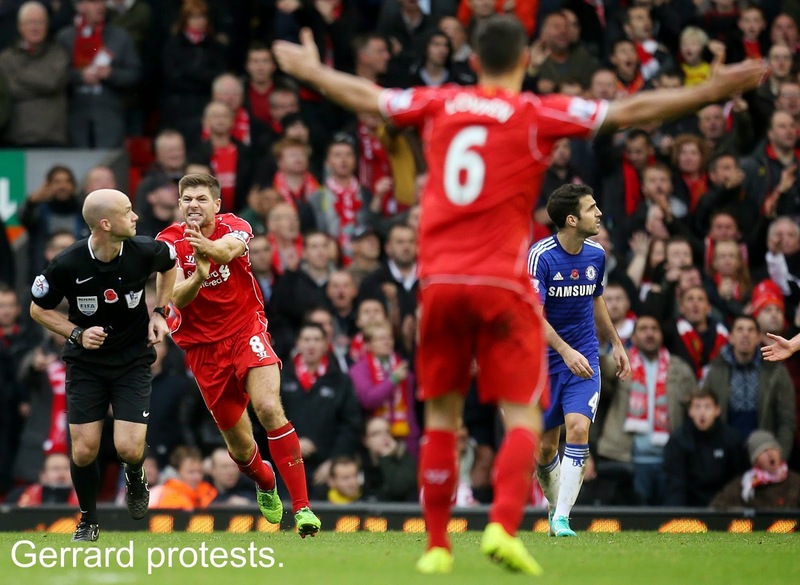 Liverpool welcomed Chelsea to Anfield on Saturday afternoon in what was always going to be a difficult tie for the Reds. After a relatively good performance against Real Madrid in the week, many Kopites presumed there would be a change of tact from Rodgers but his insistence to use the same formation was perhaps detrimental to his side's overall chances. Things began well for the Reds when Emre Can quickly put a stamp on the game. An early effort from range smashed off John Terry and flew wide but the German followed soon after with an almost identical shot. This time his strike deflected off Cahill and fortuitously flew into the right of goal leaving Courtois with no chance. After putting on a rather gutsy performance against Real Madrid at the Bernabeu, Brendan Rodgers may find himself with several questions to be answered over who to field in the starting line up tomorrow. Whilst it is evident Liverpool were lacking in attack midweek they improved dramatically defensively and this could result in somebody losing their place in the back four. Injury wise Liverpool still have a few men on the list. Daniel Sturridge firstly is still unavailable with a long term injury. Also out for the Reds are Enrique, Sakho and Flanagan. For Chelsea, they are very strong with their only injury worries; Remy and Mikel both expected to return back to the squad tomorrow. Looking at the starting line up yesterday you would have been a fool to suggest Liverpool would only concede once at the Bernabeu. After Brendan Rodgers fielded what was essentially a B team there was disappointment from several Kopites on Tuesday evening who had been looking forward to a glittering tie with Real Madrid. I was another fan raising questions about the choice of line up, mainly because I felt it was a bit disrespectful to be honest but as always, whoever Brendan picks I will back them 100%. One player I was happy to see introduced was Kolo Toure. I've been calling for him to be back in defence for a while now and boy did he put on a cult hero's display. Liverpool prepare to face Real Madrid at the Bernabeu on Tuesday evening as Brendan Rodgers' side aim to keep their hopes of progressing to the next stage of the Champions League alive. 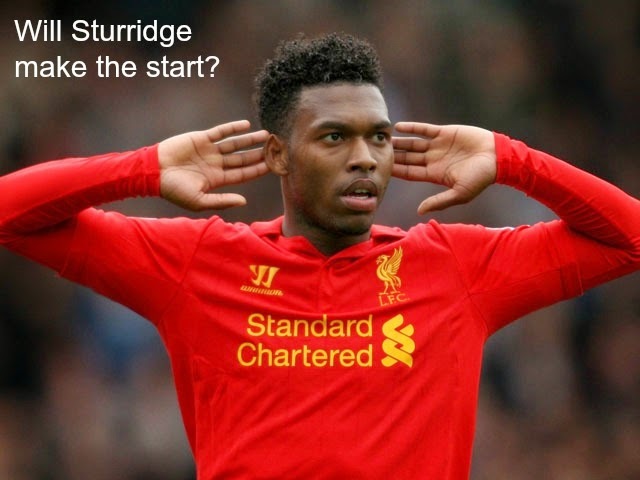 Daniel Sturridge has travelled with the team but surely it's too early for him to feature? He will apparently be subject to a late fitness test. However, I can dream of miracles and I bloody will dream of them. 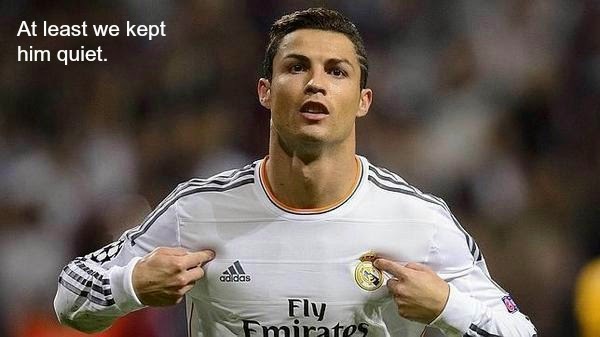 It's the Champions League and anything can happen. Liverpool's last meeting with Real two weeks ago ended rather badly. Madrid had the Reds well inside their pockets and a flicker of attacks from Liverpool was only eventually allowed as the away side decided to take their foot off the gas.